By janet, February 15, 2004 in INTRODUCE YOURSELF! We just buried my 71 year old father last week. Apparently he had lung cancer which had spread to the brain. He noticed vision problems around the beginning of Jan. and had his eyes checked, nothing found so sent to Opthamologist for exam for cataracts, nothing found, sent to Neurologist who did M.R.I. who found brain tumor. He collapsed the following day and was hospitalized which is where they found primary tumor in right lung. No treatment offered. We have no idea WHEN this cancer started and the doctors seem unable to give us an idea. I am extremely frustrated that he was so sick and none of us knew. This is a guy who rode his bike 30 miles a week, and drove just one week prior to his hospitalization. Does cancer come on and advance so quickly? I am feeling extremely quilty that I didn't spend more time with him these last few months, but we had absolutely no clue. I am worried that he was in pain and didn't tell us about it. He was dead just 7 days after his diagnosis. Please, please, PLEASE do NOT feel guilty about not knowing your Father was so sick. This disease can be SO sneaky. If he had Non-small cell lung cancer he might have had that tumor in his lung for 8 to 15 YEARS before any symptoms showed up. That give this cancer a long time to spread to other parts of the body and finding something wrong somewhere other than the lung first is not uncommon. The other main type of lung cancer, small cell, shows symptoms a lot quicker but is much more aggressive than non-small cell and can spread incredably fast. I know there is a lot of pain and confusion going on right now. I wish there was more I could say or do. For now just know that you have NOTHING to feel guilty about. You have enough emotions to deal with now, don't add that one. Thank you Dean, I appreciate you taking the time to reply. I am a mess right now, my heart is completely broken, I am having a really hard time imagining life without Dad. I guess I feel cheated in that he never had a chance, he never got a chance to fight it. He only had 1 good day after he entered the hospital, and he told me he was angry that he couldn't remember the names of things, he was very frustrated but wanted to get better. He had no idea what had hit him. First I am so sorry that you lost your beloved father. It is so hard and so sad when we lose those we love. As Dean said, cancer is a very sneaky beast. I can totally understand though about the confusion and the regrets. I and my family had no idea Randy had cancer either until he had a stroke. But the hard part for us is, he was going to the doctor for 6 months complaining of just not feeling good. For us the doctors blew it. The doctor he was seeing never even checked him for cancer. In my heart I knew when he first started to not feel good that it was something major but the doctor told me I didn't know what I was talking about when I asked questions. Randy was never really in alot of pain until about May of last year. Then once he had the stroke everything went so fast and we were in such a state of shock, we never really knew what hit us either. As for regrets, I have lots of them but I also realize what has happened has happened and we can't take it back. Hind sight is 20/20. I just pray for forgiveness and for acceptance that I did the best I could with what little information we had. It is very normal to look back and say would have, should have, could have. We have to learn from this that life is precious and to be thankful for the day we are in. We should never take for granted that we will have tomorrow. Live your life to it's fullest and do what you feel will make you happy today. It is great to plan for the future but don't lose sight of today. So first, forgive yourself, you did what you felt was right at the time. Your father also did what he felt was right for the time too. Remember him with a glad heart that he really did not have to suffer like so many others here have. He lived his life like he wanted to without fear. I am so sorry this has happened to you. My heart goes out to you and your family at this time and I will keep you in my prayers. I pray for peace for my soul each day and I give thanks to God for what I still have. This journey we call life is not always easy. We just have to have faith that we are doing our best each day. Dear Janet (and Shirleyb), You have no reason to feel guilty. Don't regret not doing what you had no reason to do - if you had known, of course you would have done differently, but you did not know, and in fact, no one knew. I was blessed to have 5 months with my Dad before he died of lung cancer; I can only imagine how difficult it must be cope with a sudden death. As everyone has said, "the beast" is sneaky. It can take years to show any sign of itself. Brain metastases are often the first sign of lung cancer, sadly. Perhaps your loved one would be pleased that he didn't linger long before dying. There were times when my father wished it would just end, I know. I agree with those who posted previouly that you should not feel guilty about your father. Having said that, I attempt to reassure myself as well. My dear husband died suddenly January 10th, 2004. Since that time, I have blamed just about everybody you can think of, including Sam, for not being able to see "something" to predict his death. Sam practiced Emergency Medicine from 1979 until 1996 when he began practicing Family Medicine. He was board certified in both and had trained in Family Medicine but, began moonlighting in ER's and stayed until the strenous pace started to catch up. We meet in an ER in 1990 when he moved to Georgia. My purpose is not to give you Sam's bibliography. It is an attempt to stress that even someone in the medical profession, who is on top of his treatment, can not forsee what is ahead. Sam's encounter with cancer began on September 10th, 2001 when he awakened with severe left posterior back discomfort. Insistent that his trusted colleagues at Fayette Medical take care of him, I took him to work. The diagnosis was pneumonia. Because follow-up X-rays and CT scans were benign except for a persistent pleural effusion(fluid) in the left lower lobe, there was no reason to suspect cancer. It was only after several thorantesises, X-rays, CT scans, a bronchoscopy, a thoroscopy and the bronchoscopy done on May 10th, 2002, when the diagnosis of lung cancer was finally made. Needless to say, we were taken by surprise. Sam did not feel or look sick. Had it not been for the fluid, there would have been no reason for continued follow-up. Since that time, we too, have had many disappointments in treatments and like so many, have waited and dreaded the phone calls. Sam and I will be the first to admit, there are incompetents in the medical profession, as is in all professions. However, after experiencing a family members' cancer treatment and listening to your stories of yours or your family members' treatment, I have come to some realities about this dread disease. First, it appears the diagnosis itself can be difficult to make. Symptoms can be vague and unimpressive. Then, the treatment is so unpredictable with it's side effects. Just when you seem to be making progress, something changes. So many times when Sam had to deliver a bad diagnosis and one would ask why, he would say I can not give an answer and would just say "it's just bad luck." These past weeks have been difficult to accept. Sam did not feel in December and his chief complaint was just feeling tired. We had seen a new pulmonogolist. an infectious disease physician and his trusted colleague and PCP and had a pending bronchoscopy scheduled. Sam used to say he would be worried if he started losing weight and he was not. No one say his demise coming. I am trying, myself, to objectively look at these past years and try to quit asking what if and why or why not. It is so very difficult . Yet, I know it is what Sam would want and the only way to move forward. I hope you, Janet, and all of the loved ones can do the same. I miss Sam teribbly and right now, wonder if I will feel differently in six months or six years. given to you already how sneaky cancer is. anymore than you can blame yourself. and I wish you to find peace in yourself. In re-reading my reply to you I find I may have sounded a bit harsh and I really didn't mean to. I DO know exactly how you feel. In 1979 my Dad was 69 years old. He had a slightly elevated blood pressure reading on his last physical. He went to the bathroom one evening, got done, walked out and hit the floor. Dead from a massive coronary. No warning, no nothing. Alive one moment, dead the next. On the other side of the scale my Mom died after a long, LONG battle with lung cancer. She beat the disease twice in her 70's but didn't have the physical strength to do battle with it when it came back when she was 84. From the last diagnosis to her passing took almost a year. A year of steady decline. So I have experienced the feelings you speak of. The confusion, the anger, the sadness. And, yes, the guilt also. But I found that guilt was one emotion I didn't need to hang on too. In either case there was nothing I, or anybody else for that matter, could have done differently. Non of us knows why things happen the way they do. I believe everything happens for a reason, but often times I wish I knew what that reason was AS I go through whatever is happening rather than have to wait until later to find out. It would make things a lot easier. Lung Cancer can be-and often is-insidious. You should not feel guilty. How could you know that something was wrong months ago if your Father didn't know something was wrong? Please accept my condolences on the loss of your obviously loved Father. I am so very sorry. And be kinder to yourself. I'm very sorry about the loss of your father, I know how awful it feels to lose someone so special. At any rate, Janet, please don't feel alone, many of us come here and share our thoughts and feelings with each other about our grief and loss, I hope you stay in touch. So sorry about the loss of your father. Since my dad was dxd in October, I have learned that cancer sneaks up on so many people and it can act very quickly. 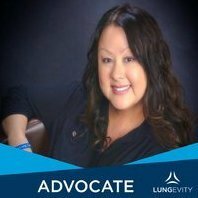 My family beat ourselves up (as well as my dad) wondering why we didn't find the lung cancer sooner, but my dad had no symptoms and was very healthy. The drs said he only had the cancer for weeks or months when they found it -- they really couldn't put a definite date on it. He has been fighting his cancer, but has told us sometimes that maybe it would have been better if he didn't make it out of the hospital initially. It's not your fault and we would all spend more time with our loved ones if we knew how long they were going to be here. May God comfort you during this difficult time. I am so sorry you lost your father and so suddenly. My mother died just 13 wks. after diagnosis. She only began to have symptoms 1 yr. prior and the Drs. told her it was arthritis. Things seemed to have come on quickly but unfortunately most lung cancers grow for years without symptoms. After such a late diagnosis my mother really never had a chance. Again, I am sorry and I completely understand your feelings. I'm so sorry for your loss. I hope I don't offend you, but in a way, it may be a mixed blessing that you all didn't know that there was cancer present. I watched my mom battle this hideous disease for 9 months and that about killed me inside. I'm glad your father did not suffer very long. You have no reason to feel quilty. I'm reading books on loss and they say that most people feel guilt for some reason or another. It's a stage of grieving. Where do you live in Northern California? Let me begin by saying your interest in trying to comfort me overwhelms me. Thank you so much. You are all wonderful people, and I especially admire those here that are fighting this disease and willing to reach out to help others, it is amazing. I know I should be glad he didn't suffer longer, I guess I am feeling cheated out of time with him, does that make sense? I know that is where the guilt part comes in, and I will have to work through that. I don't know if we are ever ready to lose a parent, regardless of the circumstance, it is truly heartbreaking as many of you know. Please keep us in your prayers. I too am from the San Jose area. I lost my beloved Dad in August of 2002. He was diagnosed with NSCLC a month before when he suffered a stroke and was hospitalized. He never recovered from that stroke (which was caused by cancer) and was in hospice in our house for 4 days before he passed away. I too sometimes felt guilty and had asked myself if I could have done more. During that time my Mom was recovering from open heart surgery from which she suffered severe complications. She was in ICU for 6 weeks. Our attention was focused on my Mom (who was also fighting breast cancer) that we did not notice my Dad's pains and symptoms. He probably was also keeping them to himself at that time too. Two days after my Mom came home from the hospital, we rushed my Dad to e.r. and he passed away a little over a month later. What gave me solace and comfort is knowing that he is in a better place and is not suffering anymore. Although the pain is still there, time has taken the edge out of it somewhat. This message board also has helped me deal with my lost. Please stay on as I had done. You will find comfort and support here. My sons and daughter could have been in your position. I went to emergency thinking heart attack. Three days later my primary care doctor called to say it appears you have lung cancer. No symptoms, no warnings. Cancer appears at mysterious times in mysterious ways. Only God knows. I will pray tonight for grace and peace that will help you through this time of grief. Oh Bud, I am so sorry to hear that you are ill. Since you said you had no symptoms, can I ask how generally you were feeling? I mean were you fatigued, depressed, etc, something to indicate something could possibly be wrong? I hope that they are going to begin treatment quickly, as I have learned from this board here that this disease moves swiftly and time is of the essence. I will keep you and your family in my prayers. Fathers are VERY important and we need them around as long as possible. I had 11 months and 21 days with my dad after his extensive diagnosis. Let me tell you that I re-live every one of those moments everyday. My pain at his loss is so intense it scares me sometimes. I know that had he died suddenly out of the blue (without this cancer dx. )- my pain would not be as intense because I wouldn't have had those 11 months to squeeze in a lifetime of love and memories and the realization that our time together was limited. It IS a double edge sword however way we lose a loved one! I do know that your father KNEW you loved him. Without a doubt, daddy's know their girls love them no matter what. Stop feeling guilt or regret, you didn't do anything wrong, none of you knew. Let your happe memories sustain you and know that you are in my prayers. I can well imagine you feel broadsided. Please do not feel guilty, it doesn't help anything. You would have done anything you could have, I am sure, but most likely there would have been very little you could have done, except watch and wait. Let yourself off the hook. You have my sincere sympathy on the loss of your dad. May offer my condolences on your father's passing. My heart goes out to you. The hard facts seem to be that this awful disease creeps up stealthily and targets indiscriminately. My husband never smoked and didn't drink, (except for the very occasional glass of wine.) He kept himself healthy and ran at least three miles every day, (the latter before he had a stroke of course.) The only thing we can think of that could have possibly brought this on is that he used glues etc., when making model trains. He did wear a respirator when using spray paint though, and worked in the open air. The doctors,( and even the Pulmonary specialist,) examined him many times and failed to detect a problem until it was too late. Please don't blame yourself, I did that in the beginning too. How could anything you have, or have not done, have anything to do with bringing on this monster. Bless you all for your kindness. I am just so sad. To see my dad's truck in front of my parents house and his coffee cup and baseball cap on his workbench in the garage is really hard. He had no idea what hit him and that he wasn't coming back home. We were extremely close, shared the same birthday which we always celebrated together, its gonna be really hard without him. Dear Janet, I am very sorry to hear about your loss. My heart goes out to each and every one in your family. I've just lost my gran. She died on xmas day VERY suddenly. She was only officially diagnosed on the 23rd and was taken into hospital becuase of a chest infection. She made excellent progress and we thought she would get out. She died at 12.40 xmas eve/xmas day so I understand how shocked you are. We are all still so shocked ... we thought we had so long left with her. I know this may sound harsh but we are glad she is gone now rather than 12 months down the line. It wouldnt have been fair on her. She couldnt be treated and it would have been the worst 12 months of her life. That and only that gives my heart some peace. I hope one day that may give you some peace too. He sounds like he was a fine man and one day it might seem better that you remeber him just as he was and not someone who was frail and needed nursing.